How to Use WordPress with the Enfold Theme - The URL Dr. Learn the research steps needed to effectively plan the website that your audience wants and needs. Covers researching your industry, customers, competition and taking an honest look at your company's strengths and weaknesses. Develop a USP, your brand, and a keyword seed list. Before you build a website, you need to plan the site structure. Learn how to do a content audit and create a content development plan. 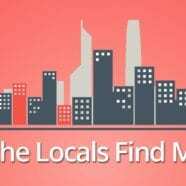 Teaches basic SEO for small business and on page SEO elements. Create a tagline, user scenarios and paths through the site, a sitemap, a keyword strategy and write killer title tags and meta descriptions. Learn the basics of WordPress and how to navigate around the WordPress dashboard. Also goes over configurations for WordPress. Now it's time to actually start building your website. In this module you'll learn how to create home pages, landing pages and blogs from scratch, as well as using templates. You'll learn how to write content for your site, how to use portfolio items and where to use all those keywords you've been researching. This module goes over how to source, create, edit and optimize professional images for your website (even if you're not a graphic artist and even if you don't have Photoshop). Great tips and tricks are given for free image sites and tools to create the professional looking images your website needs. 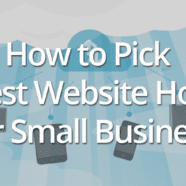 Learn how to pick the right web host for your small business website. From shared hosting to VPS, you'll find out what the pros and cons of each type are. Keep your site safe and secure and find out how to keep your site lightening fast. This master course offers a phased approach for business and nonprofit to create a website that will meet their customers’ needs and their organization’s goals. Step-by-step instructions lead novices through the entire process of designing or redesigning a website, from start to finish. The instruction focuses on how to use WordPress, one of the best content management systems available, in which to build small to mid-sized business and nonprofit websites. It’s versatility and ease of use make it the perfect system for novices and do-it-yourself’ers. One of the most popular WordPress themes available is the Enfold theme by Kriesi. With its Avia Layout builder, demo pages and customizable theme options, it makes creating a website as easy as point and click, while still producing a professional and modern look. Phase 1 – Research & Development: Learn how to research your market and industry, figure out what your customers really want, spy on your competitors, create a unique selling proposition (USP) and create a keyword seed list for keyword research. Phase 2 – Planning & Site Structure: Phase 2 walks users through conducting a content audit and content plan, teaches search engine optimization (SEO) basics, instructs how to do keyword research, shows how to create user scenarios and user paths through the site, helps users create a sitemap and teaches how to create a keyword strategy, including how to write title tags and meta descriptions. Phase 3 – Using WordPress to Build the Site: This part of our master course includes our full “How to Use WordPress for Beginners” program and our “How to Use the Enfold Theme by Kriesi” course. This phase covers set up to advanced operations and shows users step-by-step in simple, easy to understand instruction exactly how to produce a professionally designed website. Phase 4 – Covers best practices in image design, where to get images for your website (when you’re not a graphic artist), free images and software to create professional images and how to optimize your images for fast page load speeds. Phase 5 – Reviews the five different kinds of web hosting and lays out the pros and cons of each to give the user a better understanding of what they will need for their website. This course makes learning Enfold and WordPress faster and more efficient that trying to figure it out on your own. Everything a user needs to know is included in this course. As part of this course, The URL Dr’s custom Amplify Loud child theme for Enfold is included for free. A child theme allows you to further customize WordPress and we’ve made it even simpler to use. Get everything you can out of WordPress with Enfold and Amplify Loud. Learn how to use WordPress and take your online presence into your own hands. We’ll educate and empower you to take your online presence into your own hands.